Principal photography is underway on Warner Bros. Pictures’ dramatic thriller Unforgettable, which is the first film in the director’s chair for veteran producer Denise Di Novi (Crazy, Stupid, Love, Focus). Katherine Heigl (27 Dresses, Knocked Up) and Rosario Dawson (the Sin City films) star in the film. Unforgettable marks a reunion for Heigl and Di Novi, who previously collaborated on Life as We Know It. The main cast also includes Geoff Stults (“Zoo”), young actress Isabella Rice (“True Blood”), Simon Kassianides (“Marvel’s Agents of S.H.I.E.L.D.”), Whitney Cummings (The Wedding Ringer), Robert Wisdom (“Chicago PD”) and film and television star Cheryl Ladd. The film is being produced by Di Novi, Alison Greenspan (If I Stay) and Ravi D. Mehta (Grudge Match), from a screenplay by Christina Hodson. The behind-the-scenes creative team is led by multiple Oscar-nominated director of photography Caleb Deschanel (The Right Stuff, The Natural), production designer Nelson Coates (Flight), editor Frédéric Thoraval (Taken), and costume designer Marian Toy (HBO’s “Ballers”). 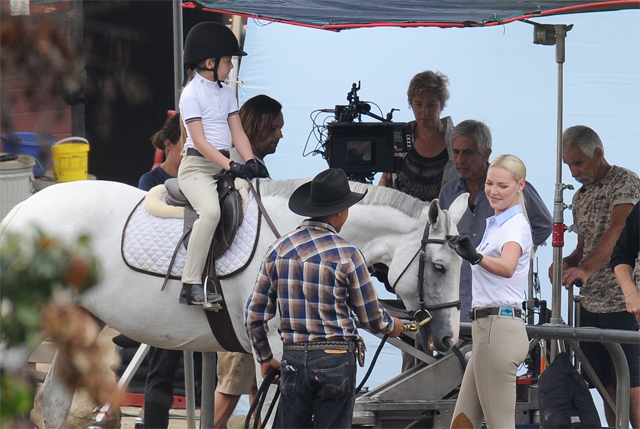 Unforgettable will be lensed in and around the Los Angeles area.